In 2014, when we published the first beta of The Economy online, Camila Cea provided a preface. 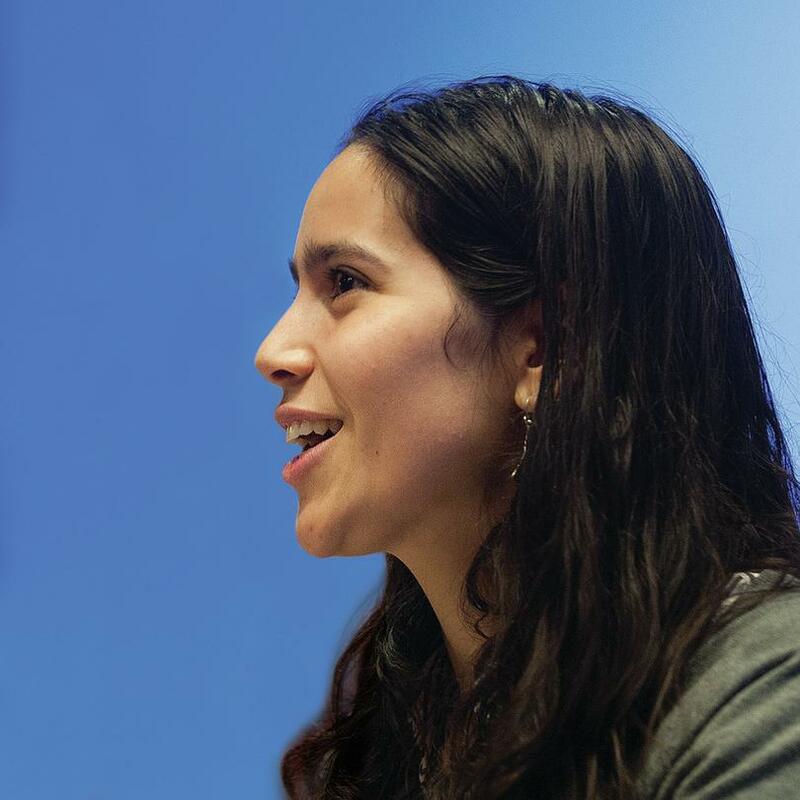 At the time, she was a recent economics graduate, but already a veteran of a successful protest movement in Chile that was advocating policies to advance economic justice. She and her fellow students at the University of Chile had been shocked to discover their economics courses addressed none of their concerns about the problems of Chile’s economy. They demanded changes in the curriculum. The director of the School of Economics and Business at the time, Oscar Landerretche, responded to their demands. Camila and Oscar are both now Trustees of CORE Economics Education. Since then, courses based on CORE’s text have been taught as the standard introduction to economics at University College London, Sciences Po (Paris), the Toulouse School of Economics, Azim Premji University (Bangalore), Humboldt University (Berlin), the Lahore University of Management Sciences and many other universities throughout the world. In July 2017, as we write this, 3,000 economics teachers from 89 countries have registered for access to our supplementary teaching materials. Like Nataly, I remember asking myself if my economics classes would ever get around to addressing the questions that motivated me to take up economics in the first place. And that’s why my colleagues in the CORE team have created this material. It has made me believe again that studying economics can help you to understand the economic challenges of the real world, and prepare you to confront them. Camila and Nataly did not get the best that economics has to offer. CORE’s mission is to introduce students to what economists do now, and what we know. Today, economics is an empirical subject that uses models to make sense of data. These models guide government, business, and many other organizations on the trade-offs they face in designing policies. Economics can provide tools, concepts and ways to understand the world that address the challenges that drive students like Nataly and Camila to the subject. Sadly, they are often not a big part of the courses that thousands of students take. In the four years that The CORE Project has been running we have tried an experiment in classrooms around the world. We ask students: ‘What is the most pressing problem that economists should address?’ The word cloud below shows the response that students at Hum­boldt University gave to us on the first day of their first class in economics. The size of the word is proportional to the frequency with which they mentioned the word or phrase. The most pressing problems that economists should address, according to students at Humboldt University. Word clouds from students in Sydney and Bogota are barely distinguishable from this one (you can see them on our website at www.core-econ.org). Even more remarkable, when in 2016 we asked new recruits—mostly but not entirely recent economics graduates—at the Bank of England, and then professional economists and other staff at the New Zealand Treasury and Reserve Bank, both responded the same way: inequality was the most common word in their minds. Local and global social problems are always on the minds of new students. In France, when we tried the same experiment, unemployment showed up more often. Climate change and environmental problems, automation, and financial instability were frequently mentioned around the world. Our focus on these real-world problems explains why we called this book The Economy rather than Economics, which is the standard title for introductory texts. The economy is something in the real world. It governs how we interact with each other and with our natural environments in producing the goods and services on which we live. In contrast, economics is a way of understanding that economy, based on facts, concepts and models. The Economy is a course in economics. Throughout, we start with a question or a problem about the economy—why the advent of capitalism is associated with a sharp increase in average living standards, for example—and then teach the tools of economics that contribute to an answer. For each question, the material is in the same sequence. We begin with a historical or current problem, even if it is a complex one, and then we use models to illuminate it. CORE’s pedagogy thus flips the convention in economics texts on its head. Traditionally, the models are derived first. Perhaps the introduction to the models includes a simple application such as shopping, and a promise that the model will be applied to economic problems in the real world either later in the course, or more likely in later courses. Because CORE starts with big problems and questions from history and current affairs, the models and explanations we use need to take account of real-world phenomena. For example, actors never have complete information about everything relevant to the decisions they are making, motives other than self-interest are also important, and the exercise of power in strategic behaviour often has to be part of the explanation for the outcome we see. Recent advances in economics have given us the tools to do this. And because we apply economic models to important, complex and difficult problems, CORE students learn immediately both the insights gained from modelling, and the unavoidable shortcomings of models. CORE is a truly global project in two ways. Its development spans the world, and it is open to anyone, anywhere, who wants to use it. Much of our design and interactive features were initiated in Bangalore. The open-source platform for our text and online materials was produced in Cape Town. The printed book version of the material is published by Oxford University Press. Translations and localizations of The Economy are being prepared in French, Italian, Farsi, Spanish, Hindi, Kannada, Russian, and other languages. CORE is now also developing materials for secondary school courses. Our online materials use a Creative Commons license that allows for non-commercial free use throughout the world. Material has been contributed, edited and reviewed by literally hundreds of scholars. The major authors of our units—all of them contributing their expertise for free—are from 13 countries. We are a cooperative of knowledge producers committed to free digital access to The Economy to help build a global citizenry empowered by the language, facts and concepts of economics. We want as many people as possible to be able to reason about, and act to address, the challenges of the twenty-first century economy, society, and biosphere. Our hope is that the best of economics can become part of how all citizens understand and seek to address the problems that we confront. Currently economics has a reputation among the public, the media and potential students as an abstract subject that is unengaged with the real world. But for most of its history, economics has been about understanding and changing the way the world works, and we want to continue that tradition. Early economists—the Mercantilists in the sixteenth and seventeenth centuries, for example, or the Physiocrats in the years leading up to the French Revolution—were advisors to the rulers of their time. The same is true of important precursors of economics such as Ibn Khaldun in the fourteenth century. Today, macroeconomic policymakers, private sector economists who create platforms for the online economy, economic development advisors, and think-tank experts continue this commitment to making the real world a better place. All economists can hope that their subject will help to alleviate poverty and secure the conditions in which people might flourish. This is both the most inspiring calling and the greatest challenge of the discipline. If you are a student or an instructor, and you are curious about our approach to economics, and its inspiration in recent developments in the discipline, you can find more in the article called ‘Looking forward to economics after CORE’, that you will find at the end of the book. The launch of our completed online text, and the publication of the same material as a printed book in a partnership with Oxford University Press, are two satisfying milestones for us. But they are just the beginning. CORE is not just a book or a course. It is a growing global community of teachers and learners, and we welcome your curiosity, comments, suggestions and improvements at www.core-econ.org. As Camila said four years ago: join us!